Did your students fill out their exit tickets today? One of the biggest issues teachers have is understanding if their student’s get it or not. And one of the best ways to assess this is with a simple quiz, or exit tickets, at the end of each class. Before the bell rings at the end of class, students answer a prompt that can range from a specific question on the lesson (“Give an example of a simile.”) to simply asking what they didn’t understand (“What was the hardest part of the lesson?”). As you sort through these tickets, putting tickets into “got it” and “don’t got it” piles, you can target your lesson plan for the next class. These end-of-class-prompts are called exit tickets, and they drive formative assessment. Exit tickets are a quick, low-risk, non-threatening way to check the learning pulse of your students at the end of each class. They are slips of paper, index cards, Post-Its, or maybe something cool I don’t even know about. The next day in class, the exit-ticket-wielding teacher knows exactly what he/she needs to re-teach and to which students. With checkpoints like exit tickets, you are no longer broadcasting a lesson and relying on head-nods or glazed-over expressions to gauge whether or not what you said just stuck. You have actual, written or otherwise, trackable responses to your check-in questions. By giving students a voice at the end of each lesson that drives how you teach the next day, teaching becomes an iterative, directed, more efficient process. If you know half your students don’t understand multiplying fractions the first day you teach it, then you can adjust for the next day before moving on. Instead of waiting until the chapter test to realize the gaps in understanding, exit tickets give you an idea of who needs extra attention now. 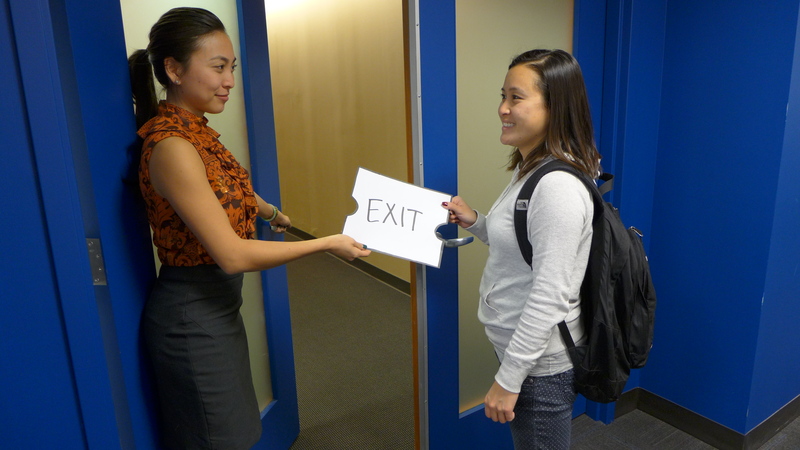 In addition to collecting a trove of actionable data, everyday exit tickets create routine and accountability for both teachers and students. As a student, knowing that I’d be asked a question at the end of class would motivate me to pay attention. And for educators, what’s more motivating than seeing your results in real-time? It becomes about learning just as much as it is about teaching. Sometimes, I feel like I sound like a broken record: feedback, teachers not technology, more feedback, accurate assessments, feedback saved a cat from a burning building… But the world of feedback is vast. And we at Gradeable are taking it on in an innovative way from the ground level. We’ll be spending a little time on exit tickets over the next few weeks because it’s one of the great things that Gradeable facilitates. By digitizing exit tickets, students’ progress can be tracked in real-time, graded anywhere, analyzed for trends, and kept in a digital portfolio. The real beauty of exit tickets is that they don’t have to be another thing to grade. They aren’t meant to be complex. Check out this blogger who put up a poster on the back of her door. Her students write their responses on Post-It notes and stick them on the poster before they leave for the day. They’re almost painless and we’ll have plenty of inspirations in our follow-up post. Like what you see? Get started at www.gradeable.com.